Dani Dyer’s ‘partner’ on Love Island, Jack, should be quaking in his boots after hearing Danny Dyer’s warning to any future boyfriends of his daughter. I don’t know about you, but since the line-up for this years Love Island was announced, I’ve been waiting for Dani Dyer’s dad – also named Danny – to have his say on his daughter’s love life. Eastenders star Danny Dyer is a notoriously scary person – well he is when you think of some of his acting roles! Don’t get me wrong, he seems like a lovely guy, but I wouldn’t want to be the boy dating his daughter. Love Island returned to our screens on Monday night (June 5), with a whole new set of contestants ready to steal our evenings from us for the next eight weeks. The contestants were paired up in the first episode, and Dani was paired with Jack Fincham – the guy with the extremely white teeth. I’m talking Ross from Friends when he gets his teeth whitened. 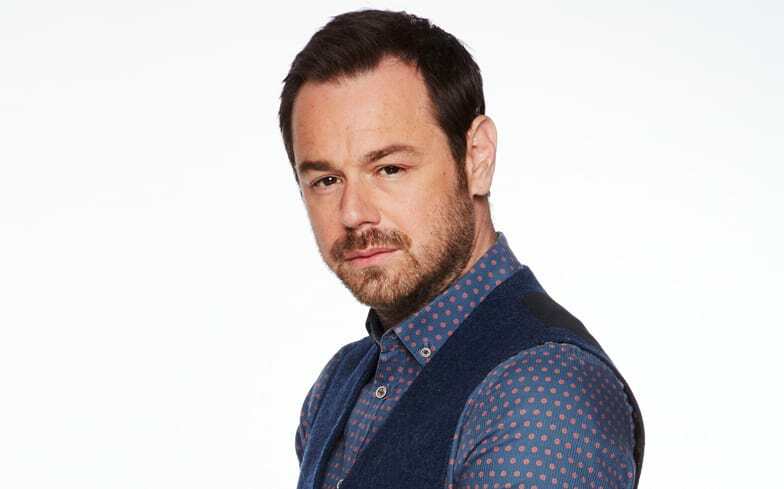 To no one’s surprise, Danny Dyer revealed he was a protective father over Dani, and admitted he’d give anyone she was dating an intimidating look, to put them in their place. Listen, I am sweet with him as long as a tear never drops from her f*cking eye we’re gonna be good friends. I can do it in a look. You walk in you’re getting blanked straight away – I’m blanking ya I’m looking at the telly and I just go – and look away again. It’s a little pipe, which is a look and then look away and then have another look right and then say f*ck all to him, you know what I mean? So he knows. I can imagine being blanked during the first visit to the house is a good way to set any potential son-in-law on edge, and make them realise who’s boss. Gulp. Remained clothed at all times boys, you don’t want to get into a fight with Danny Dyer. But back to Dani – along with Adam’s treacherous stealing of Kendall on Tuesday’s Love Island, she was involved in her own relationship-drama. After finding out her new love interest, Jack, has cheated on all of his previous girlfriends, Dani was shown crying. It is a really sore subject, it makes me want to cry. It probes me that I always step forward for the same boys. Do you know what I mean? He’s cheated on all of his girlfriends and it was the way he was like ‘well I’ve only had two’. With the contestants only two days in, and Jack already reducing Danny’s daughter to tears, I’m not sure the Eastenders star will be so approving of his daughter’s ‘new man’. Tread carefully Jack, you wouldn’t want to lose any of those gleaming white teeth of yours.